The Feb. 25 Design Issue of L.A. Weekly features a cover designed by local motion graphics house Motion Theory, which is no stranger to cover art, having done work for RES (see the PDF) and Creativity as well, among other print projects. 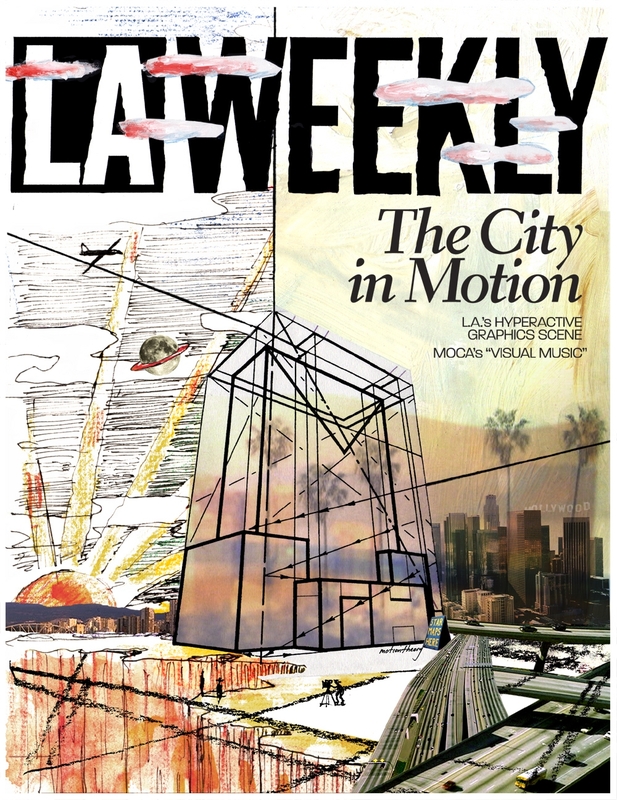 The L.A. Weekly cover story is an overview of the SoCal broadcast design scene, and it features Motion Theory, along with other companies, hence the cover commission. As for the bustling collage that Motion Theory created, "Like the field of motion design itself, the cover mixes media, combining photographs, illustrations and graphic elements to convey a surreal version of Los Angeles in motion," says designer Matthew Cullen. 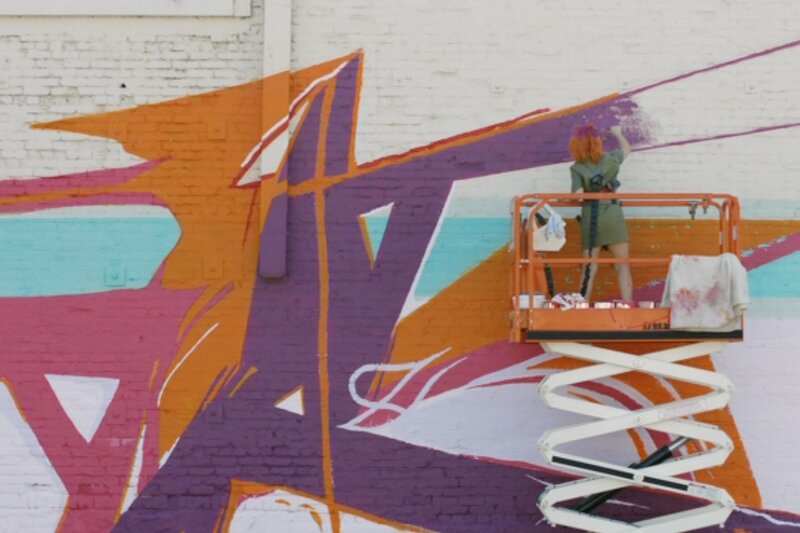 "The theme of motion echoes through the imagery of freeways, filmmaking and the city skyline, all of which are overshadowed by a graphic edifice that appears to be in the midst of evolving into a new form." Yeah, probably something by Frank Gehry with a lot of glare.